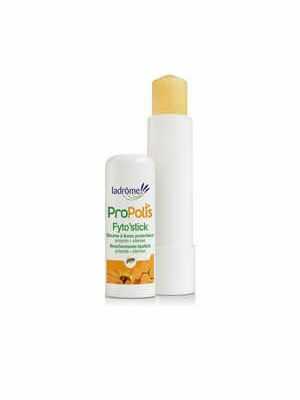 Propolis comes from a resinous substance, collected by bees from buds of certain kinds of trees (birch, poplar...). Then, the bees mix this substance with their own saliva secretion and with wax and pollen in order to give birth to propolis. It is an ingredient of choice in the form of extract, powder or other for the production of various natural products (syrups, gums, sweets, etc.) to boost immunity, allowing users to stay in perfect shape in the beginning and during winter. 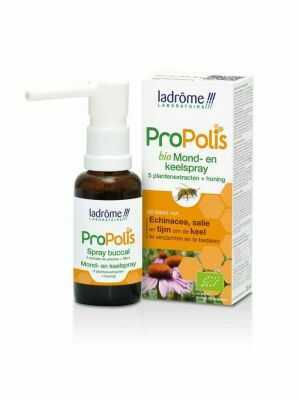 Propolis, what is it used for? √ Cover with a thin layer the inside of the cells before the arrival of the queen, which constitutes an effective disinfection. 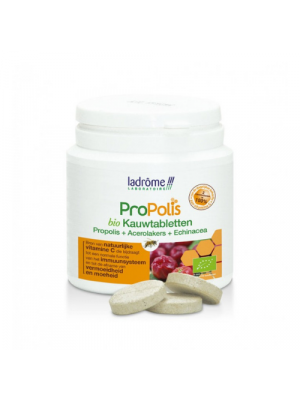 Thus, propolis is used in the following purpose : preserving bees’ health. 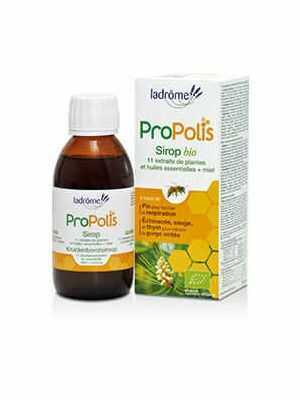 But propolis is not only used by the bees. It is also an ingredient of choice in the form of extract, powder or other for the production of various natural products (syrups, gums, sweets, other natural solutions) allowing users to stay in shape in the beginning and during winter. Read more here. 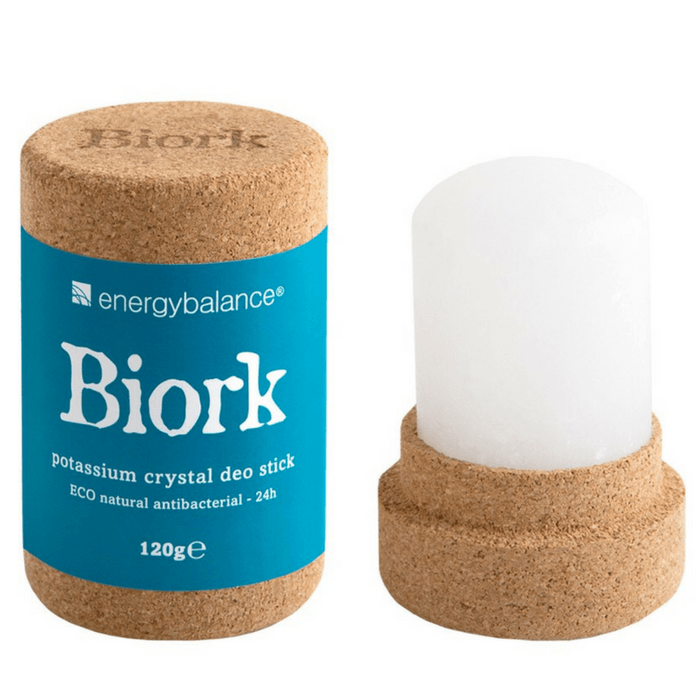 From the bees… to propolis extract! The bees produce propolis from the vegetable sources they choose. Propolis is then collected by scarping and scratching the frames of the hive. The collected quantity may vary: between 100 gr et 300 gr per hive per year. The harvested propolis contains about 40% of impurities (wax, vegetable fibers, organic waste… etc) and needs to be purified before use, in order to isolate the active fraction (flavonoids). The extraction method of propolis, the most used and recommended by the French Pharmacopeia, is the hydro-alcoholic extraction: maceration of the propolis in a mixture of alcohol-water, without added chemical substances. In fact, it is an effective method that ensures the microbiologic quality of propolis due to the rubbing alcohol. 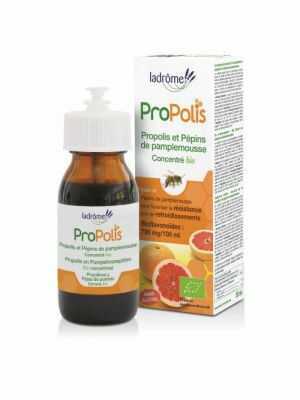 After extraction, propolis is purified by filtration. 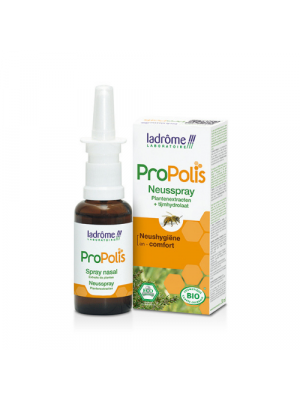 Propolis is a 100% natural antibiotic that you can take as a preventative measure and that isn’t detrimental to your health. As opposed to popular, over-the-counter antibiotics, propolis does not kill off your good gut bacteria and does not trigger any unhealthy side-effects. 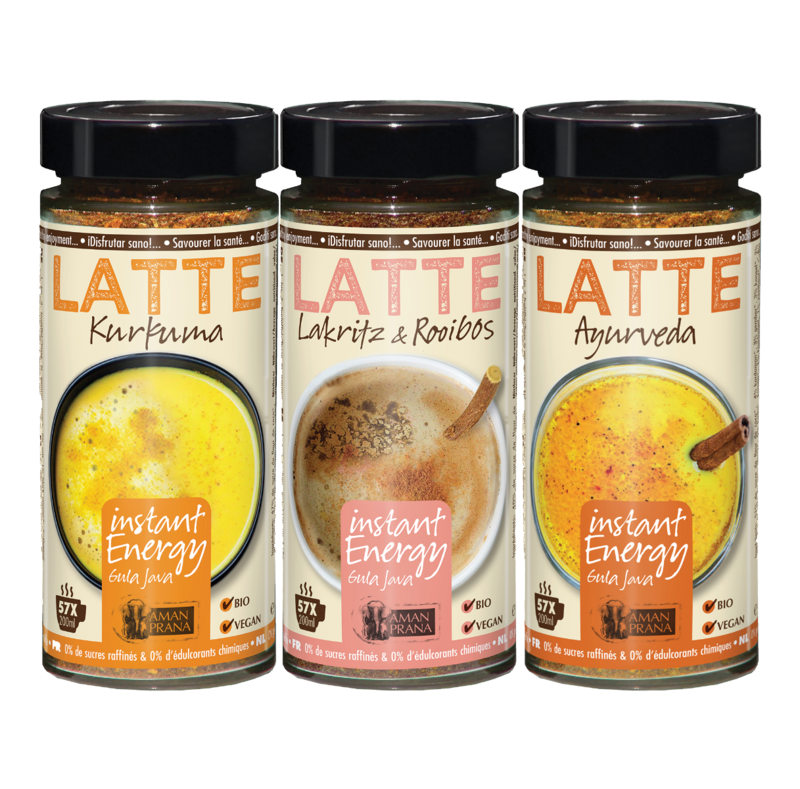 It is anti-inflammatory, it boosts your immune system, it repairs and heals cell damage … and kids absolutely love it. It is the best remedy for any winter ailment, for every member of the family. Do you have a lot of phlegm stuck in your airways? Or do you often have an itchy throat? The Propolis+ Syrup can bring you immediate relieve. 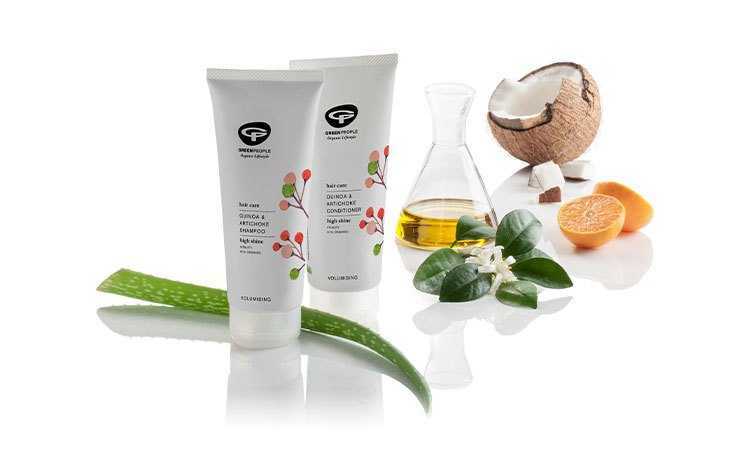 Sugar-free and with plant extracts to prevent phlegm formation and to enhance your natural defences. With elderberry and anise to sooth and heal your airways. Beware the delicious taste of this syrup. 3 tablespoons/day for grown-ups and 3 teaspoons/day for children of 6 and older is enough. You can also use this syrup as a natural sweetener for juices. Propolis and grapefruit seeds are great sources of bioflavonoids, powerful antioxidants that enhance your body’s ability to absorb vitamin C, and that fortify blood cells and stimulate oxygenation. By adding 20 to 25 drops of Propolis+ Grapefruit seed extract to your water or juice, you’ll be giving yourself a veritable winter boost: your blood circulation will greatly improve and you will take in more vitamin C with every sip. Sugars weaken your immune system, as well as the natural defences of your children. 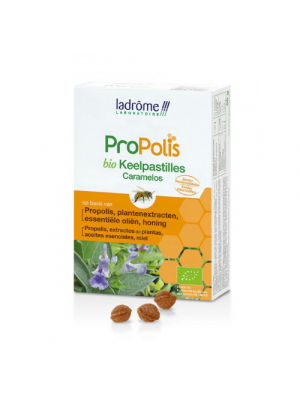 So when your kids ask you for a piece of candy, opt for a naturally sweet alternative, such as LaDrôme’s propolis gummies. 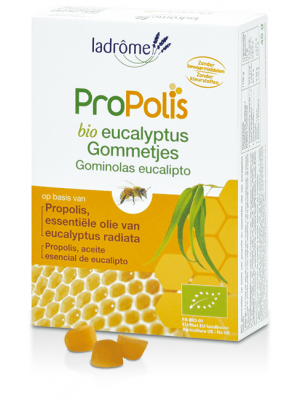 From the age of 4, children can have 4 to 5 propolis gummiess a day. A great treat to always have with you in your purse or in your car, your kids will be happy and you can take comfort in the fact that these treats actually enhance their well-being. Have you been feeling lethargic this winter? Do you feel your energy slipping away with each passing day? 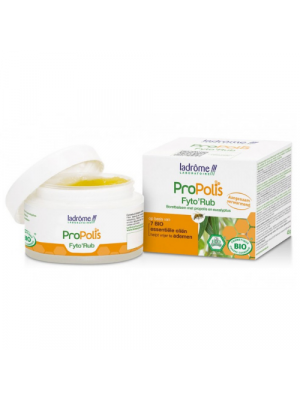 The Propolis chewing tablets make up for your lack of vitamin C and provide the necessary daily boost when you take 2 chewing tablets every day. A vitamin C deficiency does not only aggravate the effects of feeling lethargic but also weakens your natural defences. With these chewing tablets winter will pass you by like a soft summer breeze. Where does propolis come from? How is it made? To prevent germs and small insects from entering the bee hive and gorging themselves on freshly-made honey, bees chew on resin to blend it with the enzymes from their tongue and jaw glands, and then they mix this with their own beeswax. Propolis, the magical end-product of this endeavour, is used by the bees to cover up each and every tiny hole in the hive to protect the colony from bacteria and infections. These anti-bacterial, anti-inflammatory attributes make propolis the ideal cure for all winter ailments.